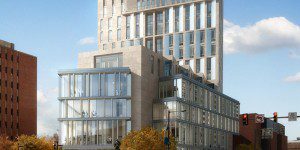 Let’s take a look at some of the biggest stories from this week, including the all new Wharton FinTech Center. Lehigh University’s College of Business and Economics has announced the appointment of Alison McGrath Peirce as Director of the Vistex Institute of Executive Education and Leadership. Her tenure began on March 18, 2019. At her former position at Wharton Executive Education, Peirce was responsible for launching the Advanced Management Program, as well as for forming new initiatives for executive training. She then formed Magna Learning Group, a consulting practice that worked with academic and for-profit organizations on marketing and business development strategies. After a decade of running Magna, Peirce returned to Wharton, where she worked with Financial and Professional Services Firms to develop best practices. At Lehigh, Peirce will work to foster collaboration between faculty and practitioners in developing non-credit curriculum for companies and organizations. The work of the Vistex Institute has local, regional and national reach. You can read more about the new executive education appointment here. Drexel University’s LeBow College of Business recently hosted a Marketing Crisis Challenge, which presented MBA and MS student teams with a real world scenario, in which their skills for strategy and problem solving were put to the test. The hypothetical crisis involved a scenario at Talen Energy Stadium, in which a soccer fan attempts to bring a firearm into a game. The fan is prohibited from entering and is arrested, but the stadium’s marketing team must make a public statement regarding the event. The students were challenged to assess the political risk of the statement, along with the integrity of Talen’s brand. The presentation had to be completed in eight hours. The winning team, made up of first year MBAs, presented a solution in which the organization reiterates its prohibition of guns in the stadium without taking a specific stance on the larger issue of gun control. Talen Energy Stadium in Chester, PA, home to the Philadelphia Union MLS franchise and the site of this year’s Lebow Market Crisis Challenge. Judges came from a wide selection of leading organizations, including: Dan Keir, Executive Director, Consumer Marketing at Comcast; Brian Papson, Vice President of Marketing at the Philadelphia Eagles; Catherine Trefz, Director of Content Marketing at Ricoh USA, Inc.; and Jeff Haas, Director of Business Strategy at Seer Interactive all weighed in upon the teams’ approaches, and decided upon this one. The competition was hosted by the Dornsife Office for Experiential Learning. You can learn more about the challenge here. 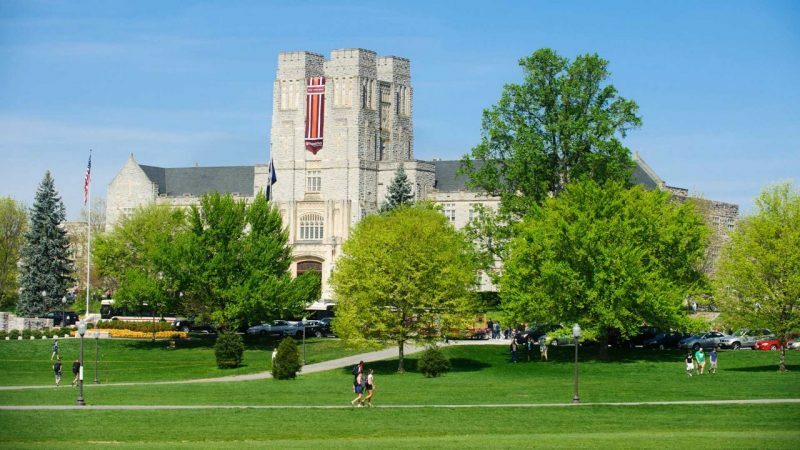 Virginia Tech’s Pamplin College of Business will host the Del Alamo/Hogan Symposium on Business Ethics on April 2, 2019 at Burruss Auditorium on VT’s campus. The Virginia Tech Burruss Auditorium, which will feature the April 2 Del Alamo/Hogan Symposium on Business Ethics. Featured speaker Leo S. Mackay Jr., a leading executive at Lockheed Martin, will discuss the importance of business ethics at all levels of professional life. Mackay serves both as Lockheed Martin’s chief audit executive and its senior vice president of internal audit, ethics, and assurance. He also heads LM Ventures, Lockheed Martin’s venture capital fund which is valued at $200 million. April 1 will mark the beginning of Ethics Week at Pamplin, in which faculty will integrate discussion of ethics issues into their current curriculum. The symposium is in its 28th year, and it is free and open to the public. Click here for more on the event including registration. Professor Paul Ingram of Columbia University Business School recently published research stating social networks have more of an impact than creativity upon how much fame a person has acquired. Ingram collaborated with Mitali Banjeree of HEC Paris on the paper, entitled “Fame as an Illusion of Creativity: Evidence from the Pioneers of Abstract Art.” Using the examples of 90 masters of abstract art such as Pablo Picasso, Banjeree and Ingram examined the social connections that strengthened the artists’ reputations and built up their level of fame. Among the tools used to gauge relative creativity in the study were machine learning and ‘expert measures;’ both of which could not exhibit statistical success as much as the relationships that the famous artists had with their peers. According to the study, individuals with the most diverse group of friends and connections throughout diverse industries had the highest probability of becoming famous. DePaul University Driehaus College of Business Marketing Professor Bruce Newman, one of the world’s foremost experts on political marketing, recently participated in a discussion regarding the 2020 U.S. Presidential Election. Newman, the founding editor-in-chief of the Journal of Political Marketing, is a keen observer of how politicians employ the media to convey messaging and evolving trends. Bruce Newman, DePaul University Driehaus College of Business Marketing Professor, and co-author of Brand. The rapid growth of technology and its extreme influence upon voters is a defining topic of Newman’s work. He says, “The speed at which information is conveyed … creates a crisis management mentality were campaigns are in a constant state of crises. Voters have the ability to get across their thoughts, their feelings, their instantaneous assessments and snapshots,” which greatly influences campaign outcomes. 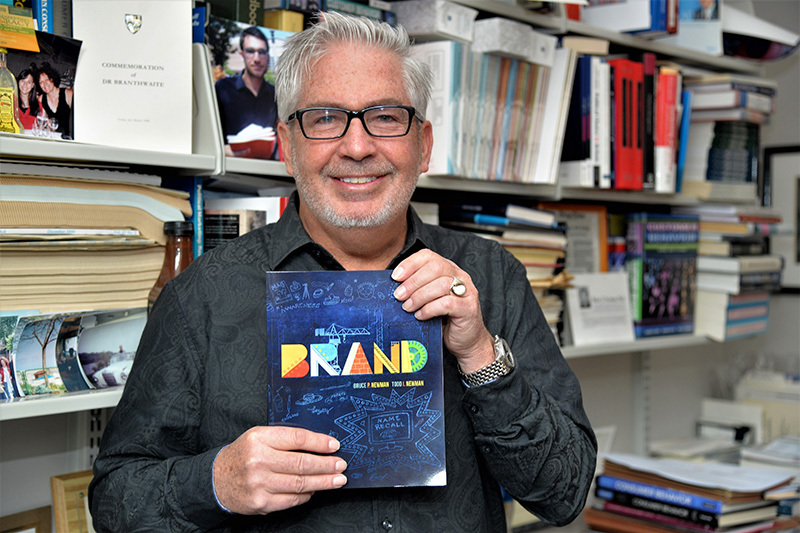 Professor Newman is also the co-author of Brand, which explores the shifting ways in which consumers are influenced by branding and vice versa.